The Eldon, Leeds, LS2 9DX. The Eldon pub review, map and rating. Looking for a Hotel near The Eldon? 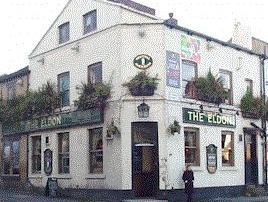 The Eldon is a small, friendly, traditional feeling pub based directly opposite Leeds University's main campus. Resultantly, it is a seasonal pub which springs to life in term time though tends to go into hibernation during the University holidays. Despite this, you will find The Eldon open for business 365 days a year with great value food served all day. The Eldon is one of the many pubs that occur on Leeds' famous pub crawl the Otley Run. Unlike other pubs in the area, The Eldon and it's management always welcome an Otley Run. The Eldon isn't the sleekest pub in town, it's dark, it's a bit grimy and you might be forgiven for thinking that the whole place could collapse at any moment, but it is a nice friendly boozer, oozing with character, where you'll always get top service and great beer.